• • 세계에서 가장 유명한 악기 중 하나인 Great Great Organ은 중세 시대로 거슬러 올라갑니다. • 수년에 걸쳐, 오르간 제조업체가 이 악기를 개장하고 추가했지만 월요일 불 앞에서 그것에는 아직도 중세의 파이프가 들어있었습니다. • 토마스 아퀴나스 (Thomas Aquinas)도 대성당의 인테리어를 장식했습니다. • 국립 경찰에 따르면, 현지 시간 오후 7시 파리 중심의 상징적인 노틀담 성당에서 '중대한 화재'가 발생했습니다. • "아마도 유조선을 타면 유조선을 탈 수있는 것 같다"고 미국 대통령이 제안했습니다. • 성당의 첨탑과 지붕이 무너지면서 현장의 영상물이 건물의 2 개 타워 중 하나에 불길을 보였습니다. • 프랑스의 억만 장자 프랑수아 - 앙리 피노르트 (François-Henri Pinault)는 Axios와 다른 뉴스에 따르면 프랑스의 Emmanuel Macron 대통령이 파리에서 화재로 황폐화 된 노틀담 대성당을 재건축하겠다고 발표함에 따라 그 목표를 향해 1 억 1,300 만 달러를 약속했습니다. The #Pinault family, business tycoons and leaders of the ⁦@KeringGroup⁩, pledge 100 million € for the reconstruction of the #Notre_Dame_de_Paris cathedral. 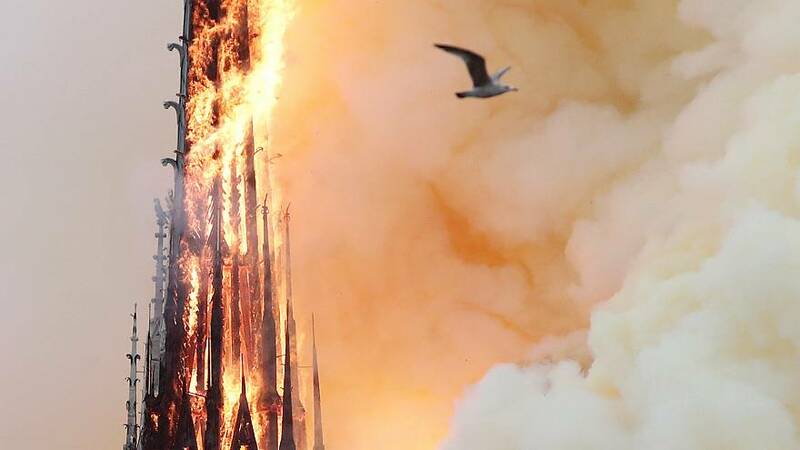 7) The fire broke out in the cathedral's attic at approximately 18:50 Paris time (6:50 p.m.). French Billionaires Have Pledged 300 Million Euros To Help Rebuild The Notre Dame Cathedral https://t.co/1oJe1uyHOt 3rd world countries can better use that kind of money. "Notre Dame is being serenaded."